The new system eliminates the fish barrier while allowing for continued irrigation. Hofer Dam is an irrigation diversion for the Eastside Westside Irrigation Districts located about 4 miles above the mouth of the Touchet River. The Touchet River provides habitat for ESA-listed Mid-Columbia Steelhead and Bull Trout. Hofer Dam was a barrier to adults returning upstream to spawning grounds on Touchet River headwater streams (like the Coppei) and an imminent threat to juveniles migrating downstream. The Hofer Dam was considered the biggest and most complex passage barrier in the watershed. 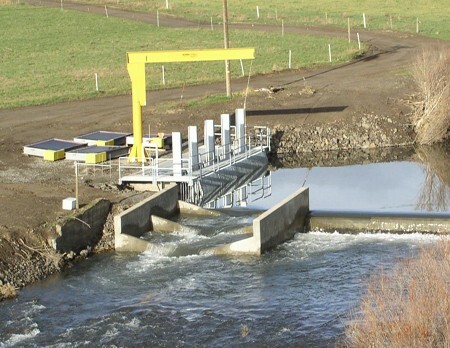 The Snake River-Salmon Recovery Board (SR-SRFB) funded it as a two-phase project. 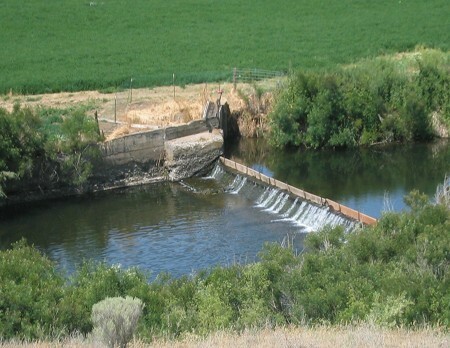 The design allows for both continued irrigation and fish passage under most flow conditions. In 2005, the district received a commitment of $400,000.00 for construction of the project from the Energy Facility Site Evaluation Council, and the balance of the project (Phase 2) was funded by the SRFB. 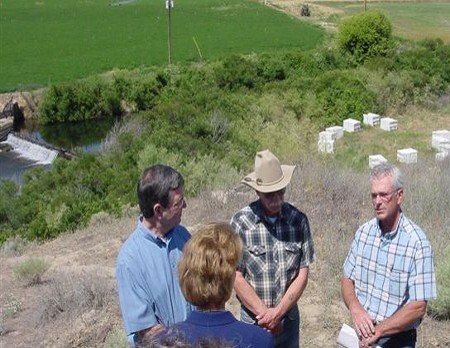 Since construction, the boards of both irrigation districts worked with the District to pipe the entire conveyance systems. The ultimate goal is to protect endangered fish species and conserve water while continuing irrigation. This fish passage project was completed in late 2006. The Final Report is available here: Final Report For Hofer Complex . The plans for this project can be viewed through these links: Hofer Project Plans 2006 – Part 1A and Hofer Project Plans 2006 – Part 2A.